Whether you have a certified therapy dog or want to serve as one of the programs “leashless” volunteers who assist the dog teams during visits, Mission Hospital has several very rewarding positions open within the program that are guaranteed to warm your heart and soul. Mission Hospital is also looking to increase its volunteer team as the completion of the new Mission Hospital for Advanced Medicine in Asheville draws near. The new hospital addition will include more patient rooms and a state-of-the-art emergency department that will more than double in size, resulting in shorter wait times. Volunteers will be needed to assist patients and their families around the new facility. Mission Hospital also offers additional volunteer opportunities for high school and college students, opportunities for home crafts and sewing, including over 40 programs for adults. 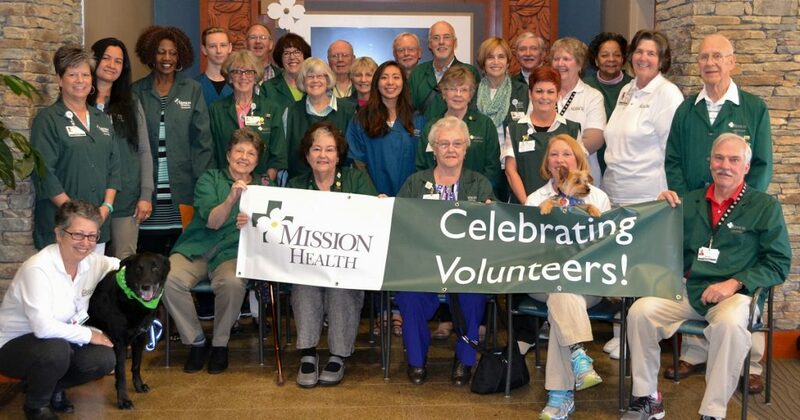 With over 300 volunteers each giving more than 261 volunteer hours each year, there’s never been a more exciting time to give back to the patients and visitors of Mission Hospital. To learn more about volunteer opportunities at Mission Hospital or to apply, visit missionhealth.org/volunteer or call 828-213-1057. Copyright © 2017 Mission Health Blog. All rights reserved.